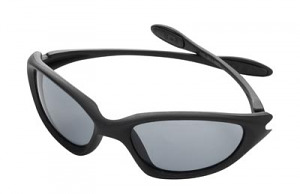 The Champion Shooting Glasses feature exceptional comfort and wrap around safety. Sharp images with no distortion. OSHA compliantmaximum Z87.1 safety rated. Scratch resistant lenses. 99.9% UVA/UVB protection. Durable "fold smart" frames won't damage lenses.